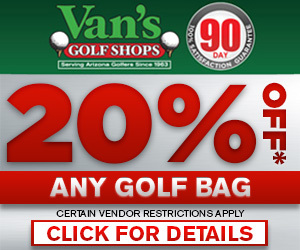 Goodyear’s Aaron Ramos started out hot at ASU Karsten Golf Course with birdies on the first two holes of the tournament on his way to a one-stroke, first-round lead at 3-under-par 68. 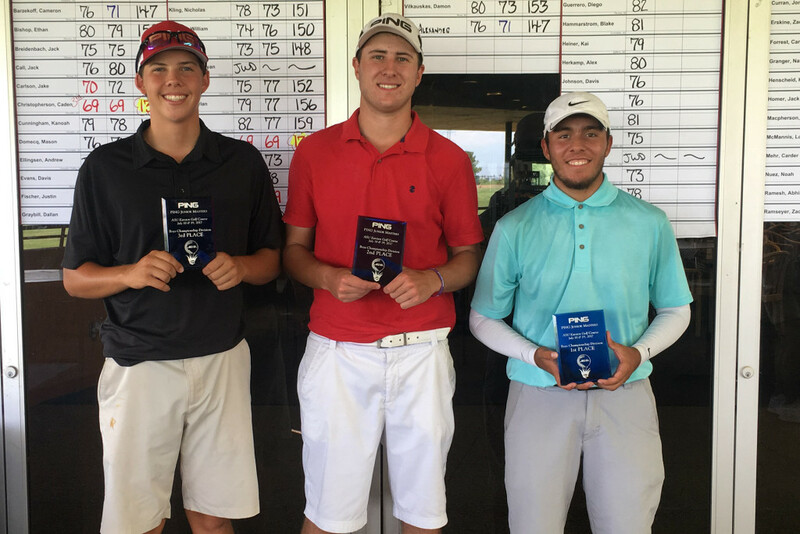  He added a second round 69 to finish on top of the leaderboard in the Boys Championship Division at 5-under-par 137 – one stroke ahead of Caden Christopherson of Chandler (69-69—138) and Reece Nilsen of Tucson (69-69—138) who finished T2. 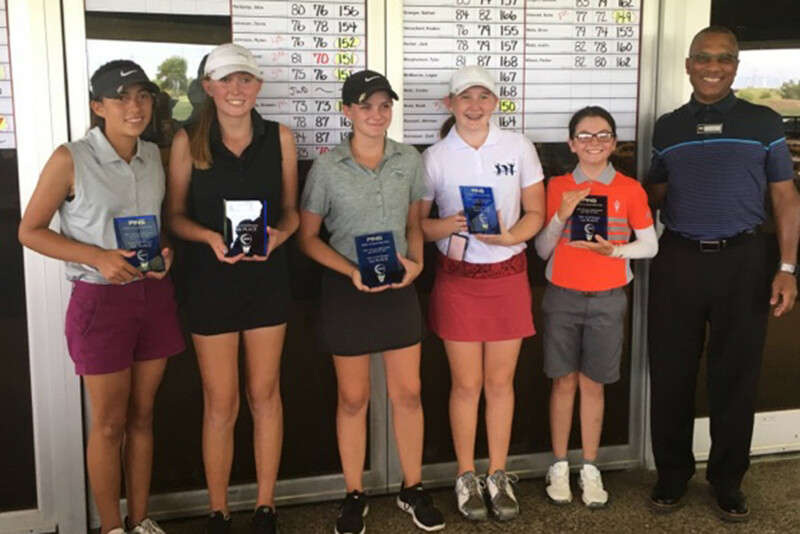 Madeleine Laux, also of Goodyear, finished at 4-over-par 146 (72-74) to win the Girls Championship Division by six strokes. 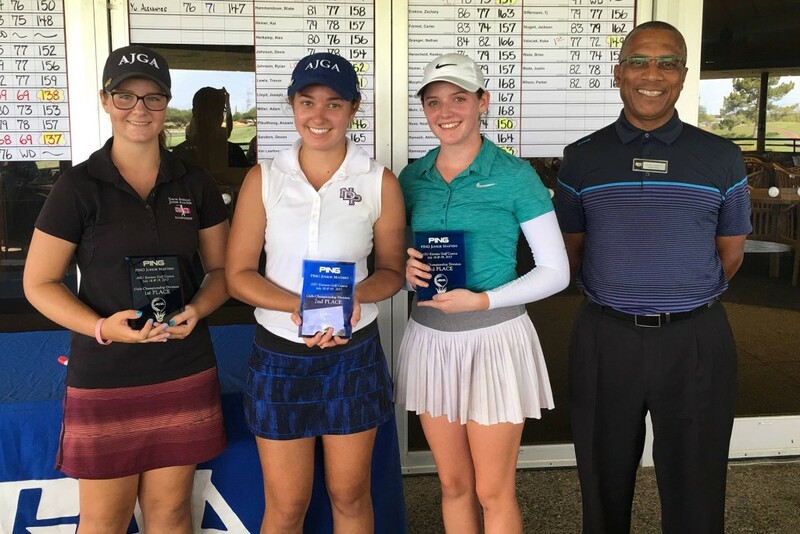 Katie Wilson of Scottsdale and Lauren Garcia of Gilbert finished tied for second place at 10-over-par (77-75—152). 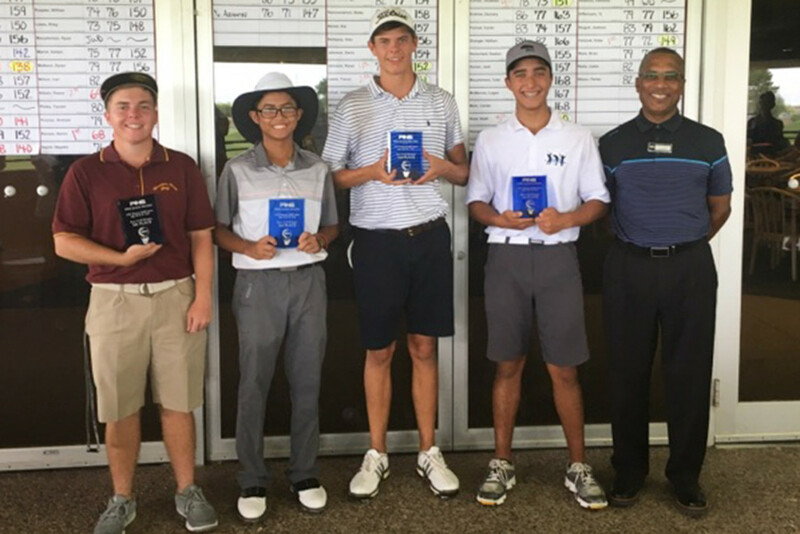 The Boys 15-18 Division ended deadlocked for first place at 7-over par.  Kobe Valociek (77-72—149) of Peoria eventually prevailed in a playoff over Peyton Richardson (76-73—149) of Cave Creek. 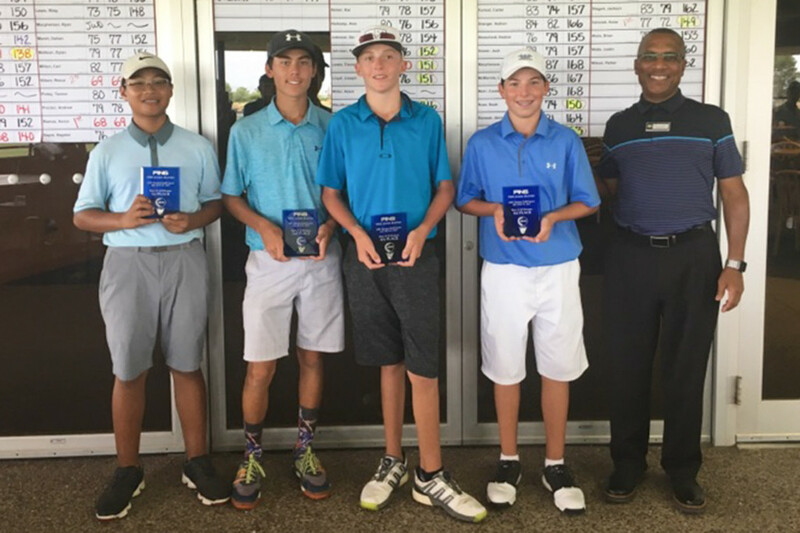 Anawin Pikulthong of Gilbert won the Boys 13-14 Division at 4-over par (73-73—146). 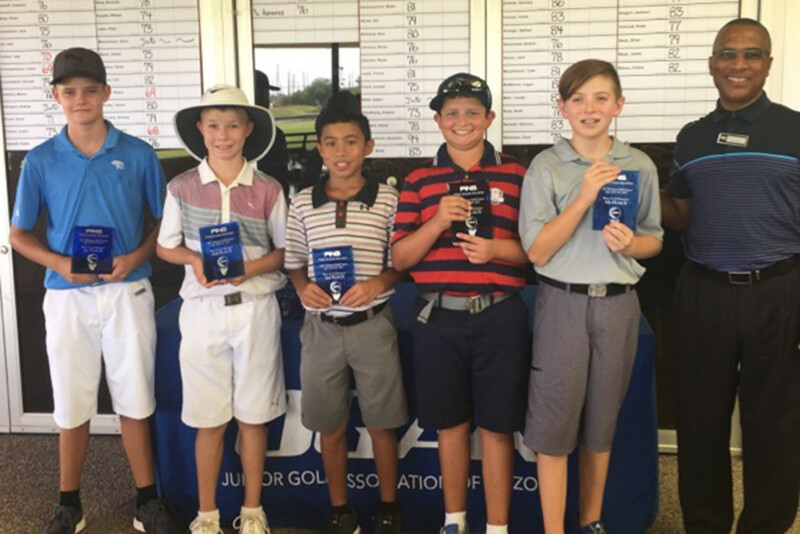 Barrett Bowers of Scottsdale won in a playoff in the Boys 11-12 Division at 5-over par (36-37—73). 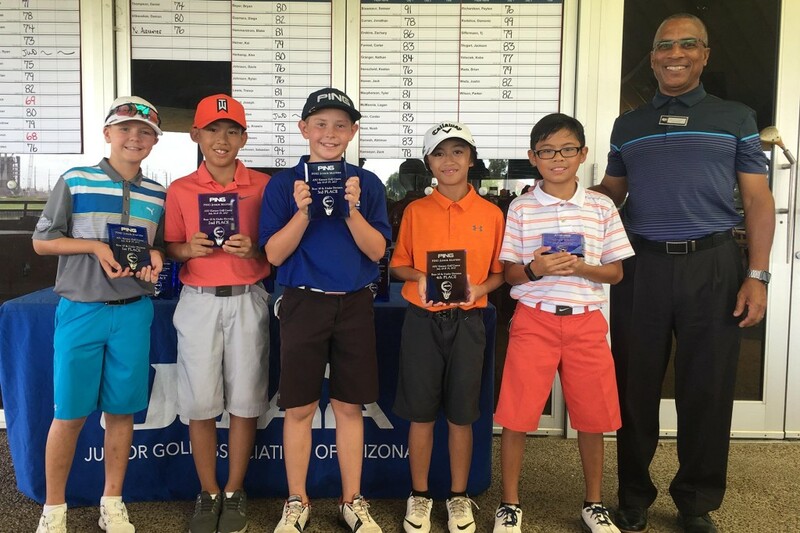 And Alec Hilgers of Litchfield Park took the Boys 10 and Under Division with a score of 4-over par (36-36—72). 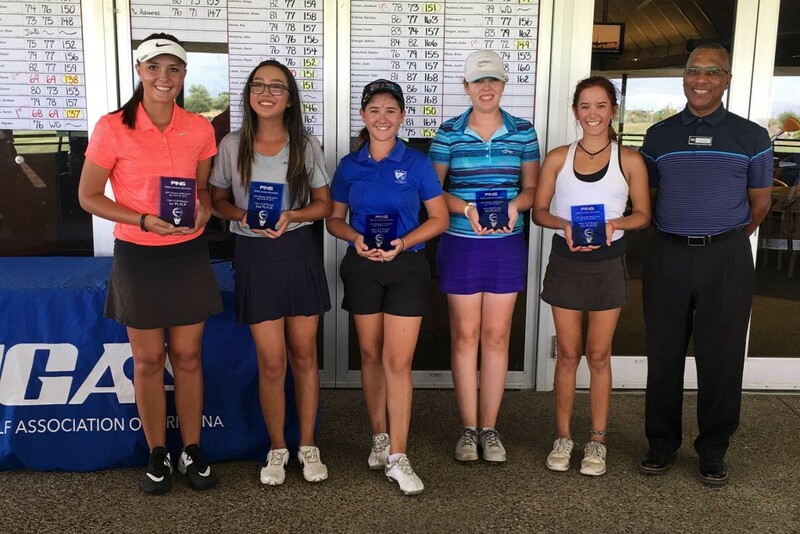 Brooke Beyer of Mesa won in the Girls 15-18 Division at 5-over par (77-70—147). 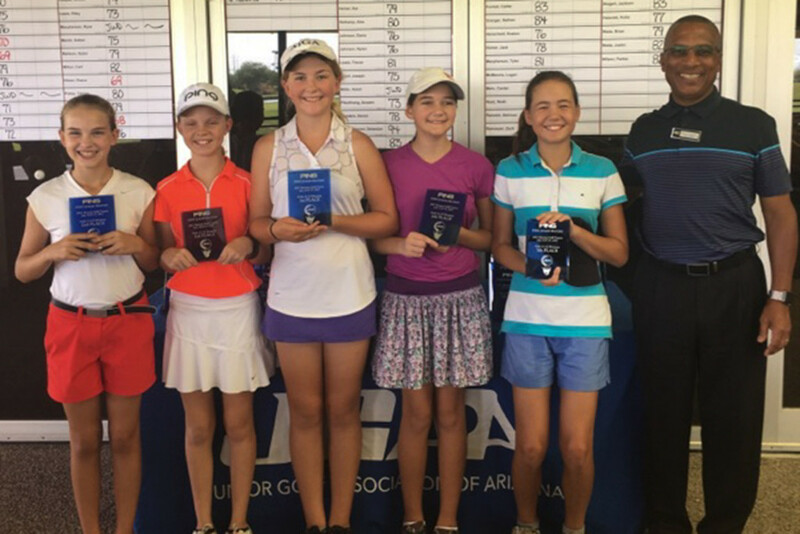 Gracie McGovern of Scottsdale won the Girls 13-14 Division at 12-over par (80-74—154). 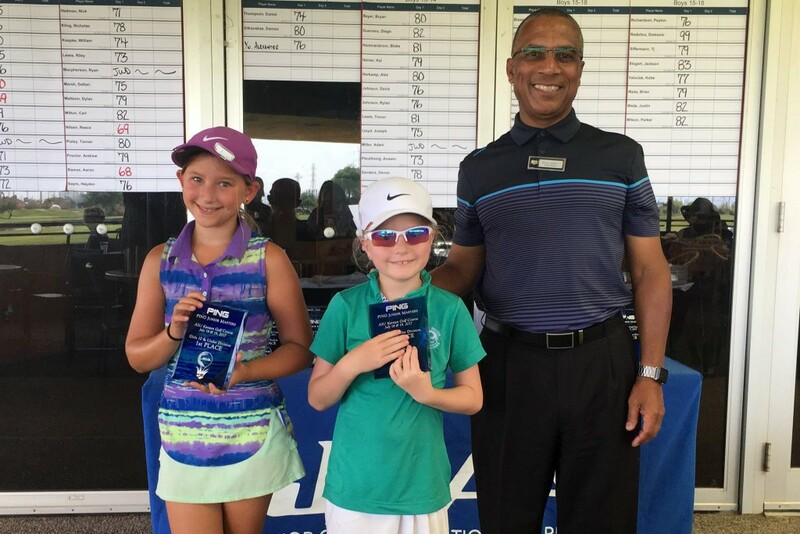 Zoe Newell of Oro Valley won the Girls 11-12 Division at 9-over par (37-40—77), and Lucy Newell of Oro Valley won in the Girls 10 and Under Division at 13-over par (40-41—81).